Polish Hebraist and Talmudist; born at Lublin, Russian Poland, July 15, 1787; died at Odessa Jan. 17, 1870. He was noted as well for his charities, especially in assisting poor students, as for his Biblical and Talmudic scholarship. He was one of the founders of the public school for Jewish children at Odessa. 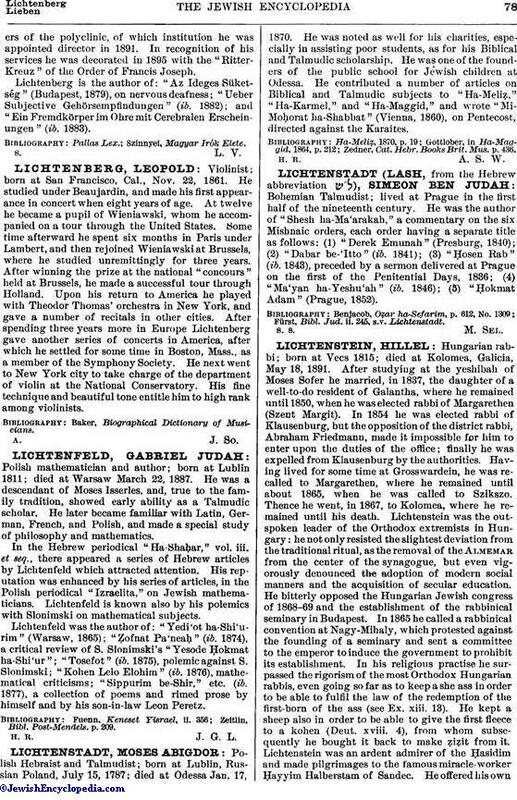 He contributed a number of articles on Biblical and Talmudic subjects to "Ha-Meliẓ," "Ha-Karmel," and "Ha-Maggid," and wrote "Mi-Moḥorat ha-Shabbat" (Vienna, 1860), on Pentecost, directed against the Karaites. Zedner, Cat. Hebr. Books Brit. Mus. p. 436.